IZ shared about�working with�Bang Si Hyuk. On May 1, IZ held a showcase for their 2nd mini album 'Angel'. The idol band's new release garnered much attention even before its release due to Bang Si Hyuk's participation in the title track. 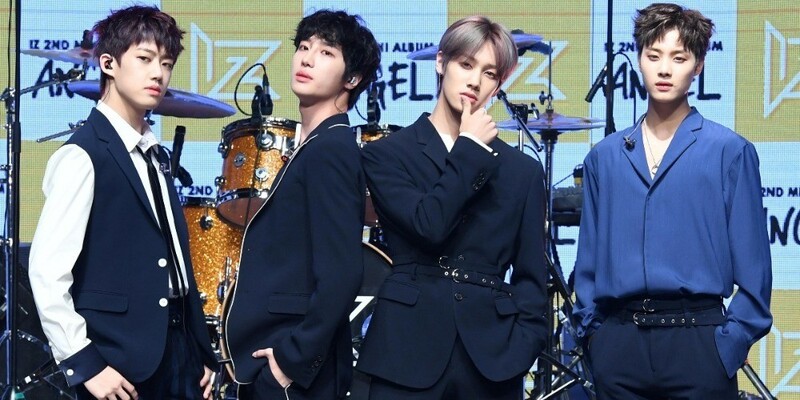 Regarding the special collab, leader Hyunjun�revealed, "Last year in March at our solo concert, we covered 2AM sunbaenim's 'I Can't Let You Go Even If I Die', produced by Bang Si Hyuk PDnim. I heard he saw our cover and judged that we have potential and decided to participate in our new album." However, Hyunjun said, "I thought he would be scary but he was actually very shy and cute." He also shared the advice IZ received from the hit producer. Hyunjun shared, "He told us that since we're rookies, we might not see our path yet but we will eventually if we work hard, and said BTS was like that too. It was very encouraging."